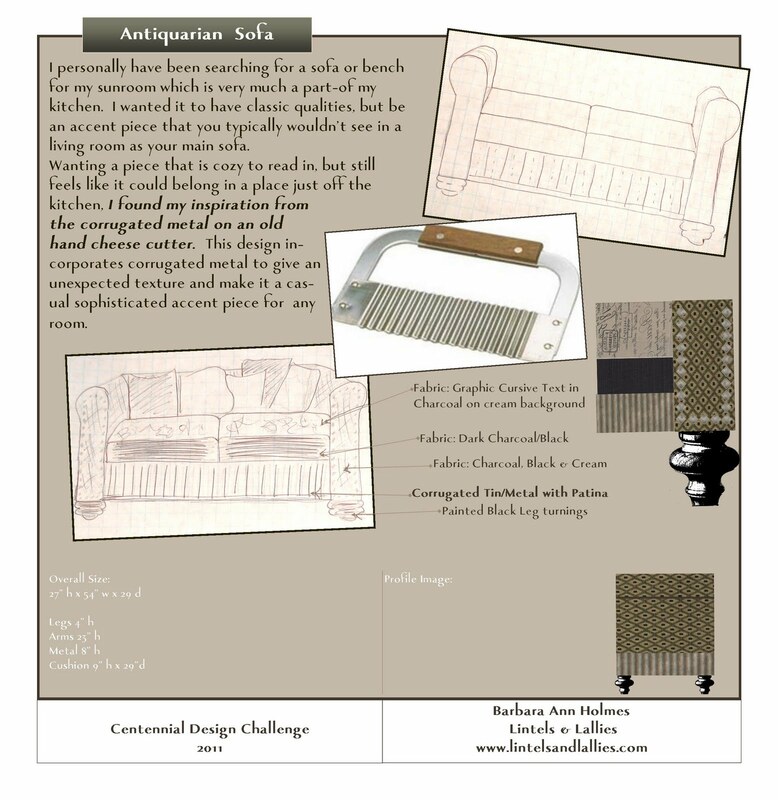 Hickory Chair, out of North Carolina, is hosting the contest to celebrate 100 years of fine furniture making. You can win $10,000 worth of furniture…doesn’t that just make the clouds part & angels sing in your ears? Well, I’m a fan of finding inspiration & running with it. I’ve searched online for the perfect sofa for my kitchen. Yes, you read that right, my kitchen. Well, technically it’s a sunroom, but it is open concept with my kitchen. Many folks are putting sofas in their kitchens & breakfast nooks these days, and I’m wanting the same thing. Sitting by my giant windows reading, having coffee, or simply offering a comfortable place for guests to sit while in the kitchen is right up my alley. I mean, everyone gathers in the kitchen as the ‘heart of the home,’ so why shouldn’t it be more comfortable? I didn’t want the sofa or bench to look like it belonged in a living room. My inspiration came from an old corrugated cheese cutter…I felt that anything belonging in the kitchen needs a little touch of industrial. I love putting a fresh touch on traditional things, so incorporating corrugated metal seemed perfect. I just really hope I win…because as you all know, once you’ve seen or had the idea of what will be ‘perfect’ it’s hard to settle for anything else. Check out my submission below, what do you think?